The leads that are generated from your RUN Pages will be stored in the Lead List. To find that list, click on Lead List in the side navigation bar. Click on the Lead List where you will have the contact information for anyone who has opted in to your site or you have entered onto your list. Click on the Close button if you do not wish to create a lead at this time. 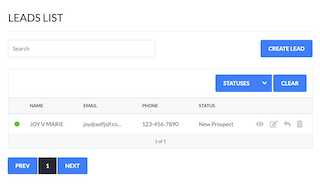 Otherwise, type in the contact details for the new lead and then click on Create. That person will then be added to your Lead List. 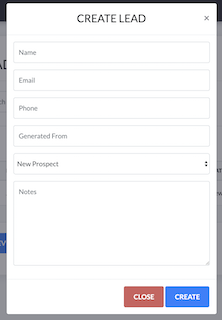 NOTE: See a related article about managing your leads using RUN's Lead List feature.